A question I get a lot is What should we dress our newborn in for pictures? Here are a couple practical tips on what your newborn should wear for pictures to make sure you get the images you dream of. Newborns are basically blobs. They have little control over their body and all they can do is sit wherever they are placed. This means that when it comes to clothing, keeping it simple is best. A stiff vest or collared shirt is probably going to drown them and ride up, hiding their face. I recommend simple and comfy styles. You can’t go wrong with a basic white onesie and I would even forego pants. The one exception are these adorable hooded baby rompers. Because they’re all one piece they convey the same simple feeling but with a little more style. They give that comfy cozy vibe that makes you want to cuddle all day long. Stick to neutral colors; white, gray, cream, light blues and pinks. By choosing light colors that don’t demand attention all of the focus stays on the star of the show, your sweet newborn. 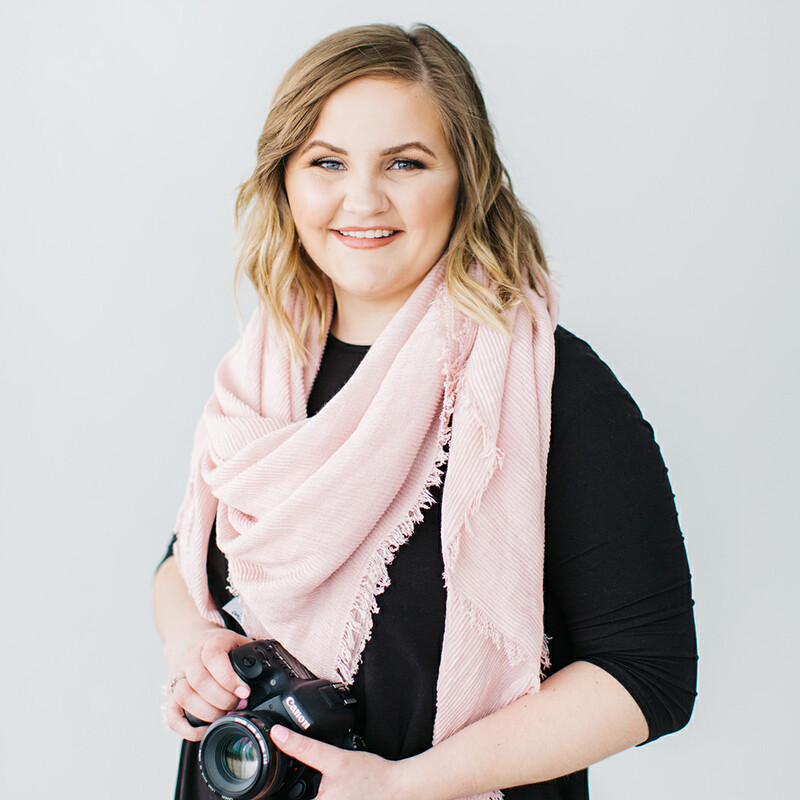 If your session will take place in your home follow the same advice when choosing blankets, bedspreads, and other accessories that will be in your photos. Too many competing colors will make the images muddied and distracted. If you want a pop of color save it for the little details like a hair bow or swaddle. Choose a hair bow that doesn’t completely overwhelm baby’s head, remember we want to keep the focus on them, not that humongous bow. For swaddles, choose a solid neutral color, large floral patterns for girls, or thick stripes for boys. Avoid small pattern designs and character prints (like animals), they tend to be too small to see in pictures and draw attention away from baby. And here’s my golden nugget for you. Get a clear pacifier for your pictures. At some point your baby will start to cry during your newborn session. They might be hungry or tired or just need a cuddle break but your first instinct will be to give them a pacifier. If the only pacifier you’ve got is bright green or has a little stuffed animal attached to it your neutral color scheme and simple aesthetic just went out the window. Having a clear pacifier on hand that will blend in and not draw attention means being able to calm baby and keep shooting at the same time. Neither of these pictures is that great… we weren’t sure how Rego would react around Emi and wanted to make sure everyone was kept safe. But they convey Rego’s attitude when we brought Emi home perfectly so I still love them!